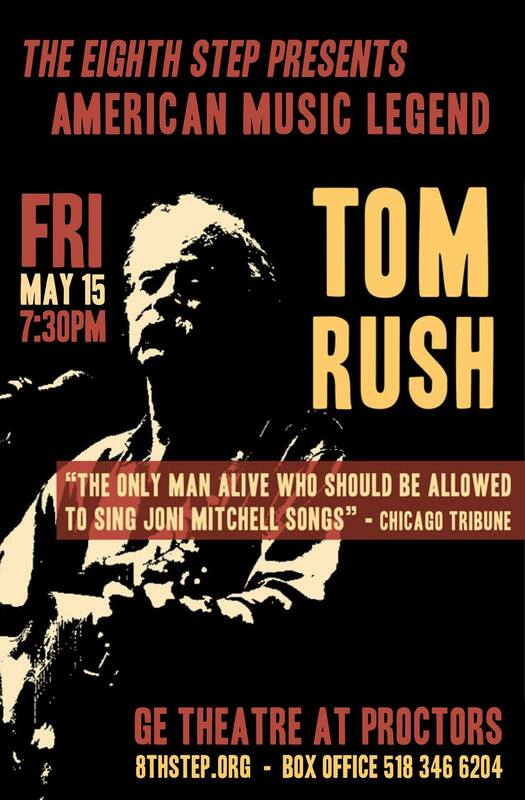 Tom Rush is a walking encyclopedia of American Song…. at 77 he’s found his own muse, and it’s really beautiful. I mean the album is just a joyful warm expression of life, it just feels lived in and it feels like something you can live with –– and his voice is still beautiful…. this wonderful album Voices has the feeling of a gift. 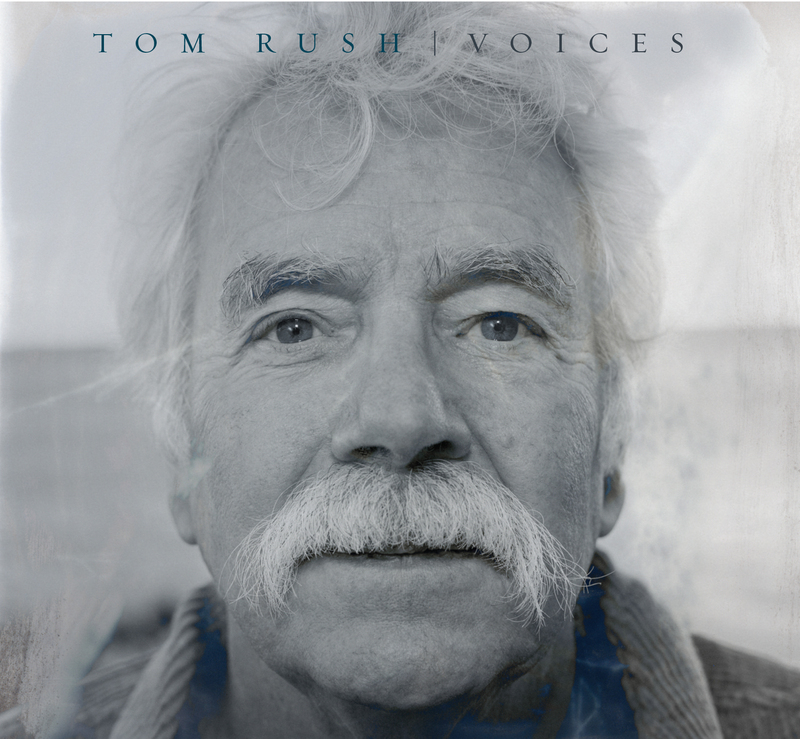 Voices is Tom Rush in splendid form. If you know Rush’s music … I don’t have to tell you they are wondrous creations. They stand up under as many listenings as you care to subject them over years and decades…. If you don’t know the guy, Voices is as good as any place to get acquainted. Afterwards, you don’t have to thank me. Just treat yourself to more from his admirable body of work, and then rejoice that the man is still among us. 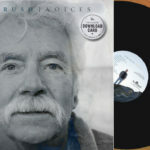 The CD’s closing title track [‘Voices’] invokes the eternal music of life, the songbook of sounds that surround us, felt if not often heard, and “the songs that sing the truest are in the key of love,” a life lesson cherished and passed along. This is a great record, brimming with wonderful melodies, lyrics, and performances. It’s stripped down and mostly easygoing, with simple string arrangements, a touch of piano, and a rhythm section. At the age of 77, Rush, through his characters, comes across as relaxed, content, and comfortable with how things have turned out in his long career. 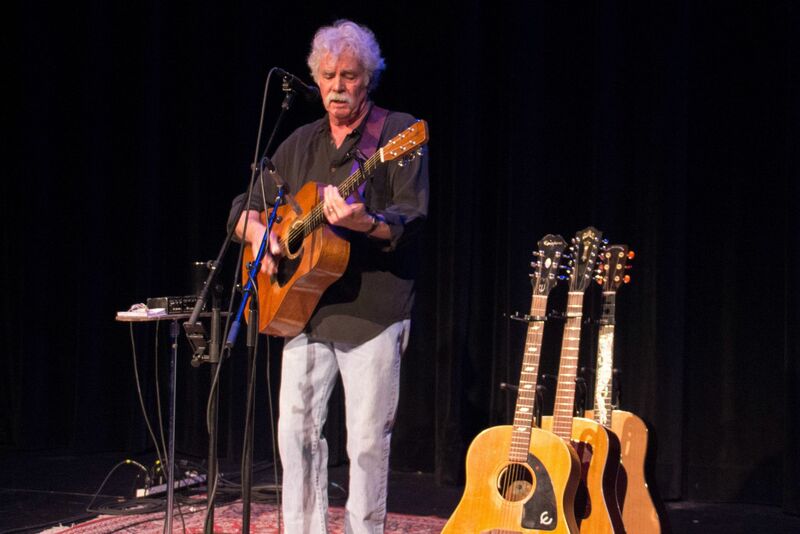 Like a comfortable pair of overalls or a warm blanket on a chilly night, Tom’s music may be comforting but that doesn’t mean that he plays it safe. 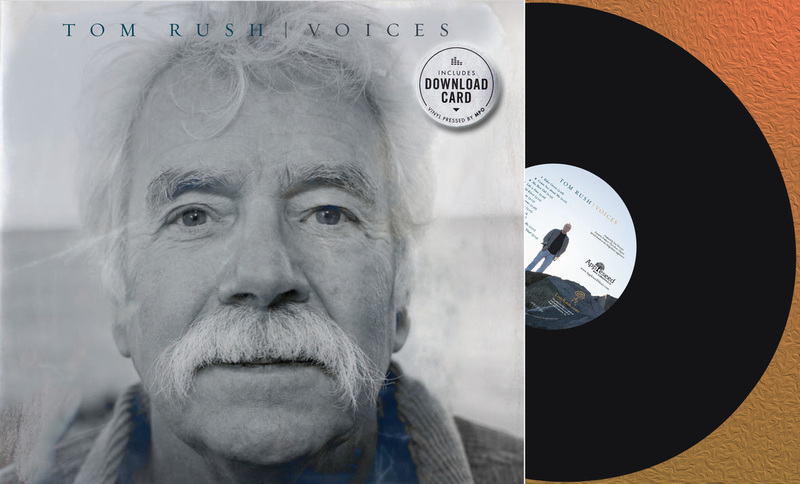 On Voices – the first album in his career consisting almost entirely of originals – Tom Rush presents an album that embraces the spirit of his early recordings with the maturity that time has graced him with…. 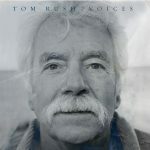 More than five decades on, Tom Rush is still creating music that springs from his heart and sings to the hearts of others. The best news is that he’s composing not only frequently but well indeed. Rush told me in an email that he considers Voices “my best work (so far),” and I’m inclined to agree. There are wise and touching love songs (“Far Away,” “Life Is Fine”) and poetic meditations (the title cut)…. Throughout, Rush is backed by a fine combo, and his vocals are just as rich and compelling as they were on the best of his earlier albums. Do you know where your parents were last Saturday night? 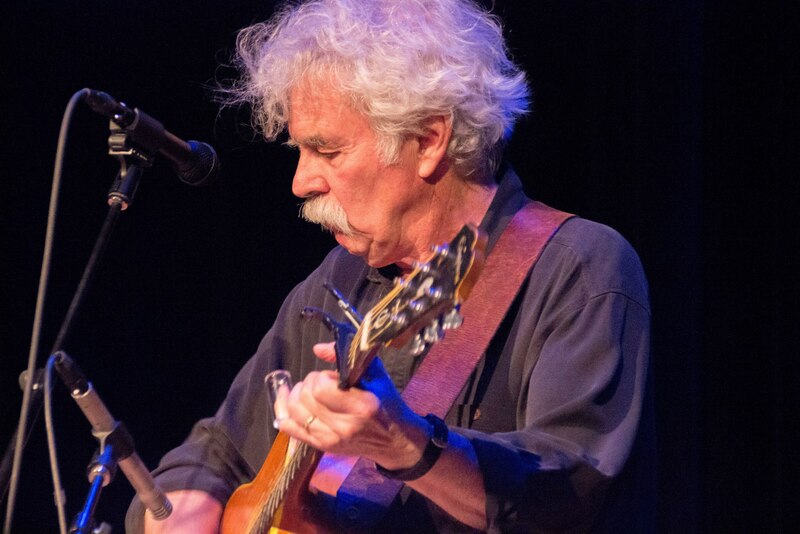 Well, the Hippo found them at the Tupelo Music Hall, eyes glued to the stage, watching folk legend Tom Rush weaving his musical tapestry song by legendary song, story by hilarious story. For the uninitiated, Rush helped shape the folk revival of the 1960s and its renaissance in the ’80s and ’90s. His early recordings introduced the world to the work of Joni Mitchell, Jackson Browne and James Taylor. According to Rolling Stone, Rush’s album The Circle Game, released in 1968, ushered in the singer/songwriter era. The first time I saw Rush perform was 15 years ago at an outdoor concert in Conway, NH. It did not compare to seeing Rush perform in the intimate, listening-room environment of the Tupelo. As the audience filed out, Rush stood patiently near the exit signing CDs and old album covers that fans had brought to the show. He chatted with folks like they were old and close friends, and he graciously posed for photo after photo. 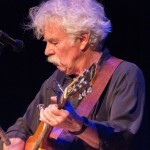 ALBANY — A folk legend came to town Saturday night, and he wore that label as comfortably as he did his own skin under his untucked purple Hawaiian shirt. 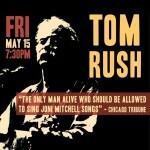 Tom Rush is the master of his genre. The capacity crowd of loyal fans knew this going in, of course, so Rush had nothing to prove. But he sure didn’t disappoint, either. The intimate WAMC auditorium was the perfect venue for Rush. He didn’t invent the “coffeehouse raconteur” thing, but many would say he perfected it, getting his start in smoky 1960s Cambridge folk joints, like the Unicorn and Club 47. An aging guitar player in the audience remembered seeing Rush at Club 47 in 1968. OK, it was me. But I’ll bet a dozen or so other graying guitar players in the audience had a similar memory. When it comes to Rush and us, the roots go deep. 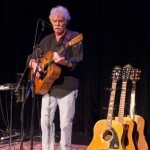 He opened with the standard, “It’s Gonna Get Cold Tonight,” relying on an Epiphone Texan in D-tuning, one of the two guitars he used. The other was an old Martin in standard tuning. Rush next played a pensive “What an Old Lover Knows,” a new song by a writer he discovered — Melanie Dyer. Now I make this point because when Rush alerts us to a new songwriter, we’d be well advised to pay attention. He proved this as early as 1968, when his “Circle Game” album introduced a few other songwriters who wound up doing rather well — Joni Mitchell, Jackson Browne and James Taylor. When it came to the music, Rush was deadly serious, thundering through Sleepy John Estes’ “Drop Down Mama,” his own “Merrimack County,” and old Mississippi blues man Bukka White’s “Panama Limited,” a train song every guitar player in the 1960s swore he could play, praying he’d never have to prove it. Rush’s emotional encore was Murray McLaughlin’s “A Child’s Song,” a plaintive tale of having to grow up and leave Mom and Dad behind. It still goes straight to the heart, but now time has turned the tables. When he first recorded this song in 1970, we were the departees; now it’s our kids. I don’t know if the irony was intentional, but the tissues were out. Michael Rivest is a freelance writer and an occasional contributor to the Times Union. The crowd: SRO of 200 mostly aging folkies, along with a few young ones there to hear what we’ve been talking about all these years.